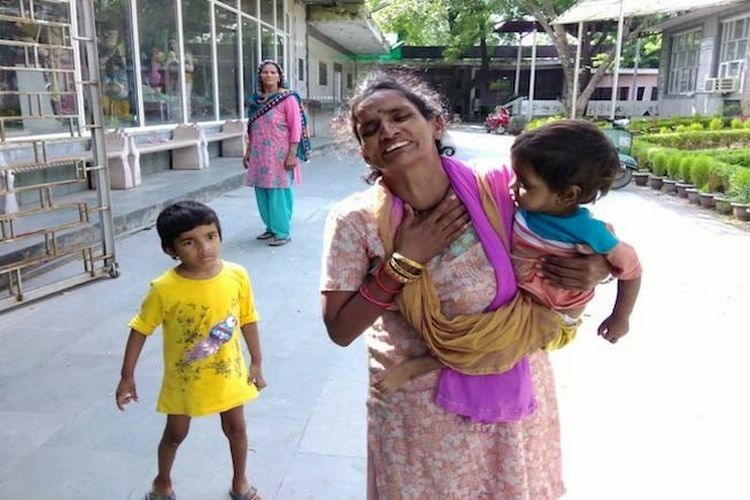 Just days after 5 sanitation workers suffocated to death while cleaning a sewer line in Delhi’s Moti Nagar area, yet another tragedy took place in the city under similar circumstances. According to reports, a 37-year-old sewage cleaner Anil died September 14 while cleaning a Delhi Jal Board (DJB) sewer in west Delhi’s Dabri after the rope from which he was suspended into the pit snapped, sending him plummeting more than 20 feet into the cesspit. The family was reportedly too poor to even arrange for Anil’s cremation, which had to be paid for via donations from neighbors. After the plight of his family was highlighted on Twitter by journalist Shiv Sunny, many users reached out and asked how they could help. That’s when online crowdfunding website Ketto started a fundraising campaign on its site for the family. Thanks to the aforementioned tweet going viral, the family is believed to have received donations of Rs. 24 lakh within just a day. That number is now almost at the Rs. 33 lakh mark, and is expected to go up even higher in the coming days. Anil’s death could have been avoided had the person who tasked him with the job provided the sanitation worker with protective gear, or had used a stronger rope, as he was warned about the rope not being up to the task by fellow cleaners. It was a tragic week for the family as Anil’s death came just 6 days after his four-month-old son passed away from pneumonia. Anil is reportedly survived by wife Rani, and three children aged 11, 7 and 3, all of whom live in a single rented room in Dabri Extension. In case you want to donate to Rani to help her feed and educate her three children, you can do so by clicking through this link. You can at least share the campaign on Facebook because every single share will get one more donation for the family.